A Hesburgh-Yusko scholar from Rockville, Md., Sheehan is passionate about researching global health issues and exploring Latin American languages and cultures. In less than three years at the University, he has already gained experience learning, serving, and working in Chile, the Dominican Republic, Brazil, and Spain. “I’ve always been interested in health disparities—the differences in health outcomes based on social factors of income, race, where people live,” Sheehan says. Brazil is particularly comparable to the United States because of its size and population, Sheehan notes. With 180 million people participating, Brazil has one of the largest free health care systems in the world. Sheehan spent most of high school becoming conversational in Spanish, and says he was “able to use it every day to listen to all the people speaking Spanish on the city bus ride home from school.” He has also been able to use those skills doing research in Chile and Spain, and interning in the Dominican Republic. 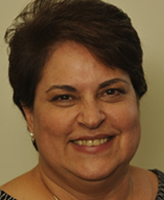 Sheehan’s interest in Portuguese stems from growing up in a neighborhood that was home to many Brazilian military officials and their families. He chose to learn the language when he came to Notre Dame and says he fell in love with the program after enrolling in Sandra Teixeira’s Portuguese class because of her engagement with students and genuine love of teaching. Sheehan continues to use Portuguese and Spanish in much of his research and coursework. His key piece of advice for learning a language is to immerse yourself in it: Have a conversation with a native speaker, find a volunteer activity in your language, and read the news or watch popular video clips, he says. For Sheehan, breaks in the academic year have been a time to engage in experiential learning; he has spent midterm, Christmas, and summer breaks abroad doing research. A defining international experience for Sheehan came the summer before his sophomore year when he traveled to the Dominican Republic, funded by the Hesburgh-Yusko Scholars Program. He spent six weeks there doing research in a burn clinic and volunteering in a hospital emergency room in the city of Santiago de los Caballeros. Before traveling, Sheehan had been debating whether he wanted to pursue a career in the medical field or in finance and business. After that summer, however, he knew medicine was what he wanted to do. Unlike others might, he described witnessing his first surgery as not intimidating at all, but as something that kept him calm and interested. In the Dominican Republic, he also came to realize that some medical problems require larger fixes than simply an outpatient approach. Seeing two to three patients sharing one hospital bed because of lack of resources while experiencing the feeling of really helping people and making a difference changed his life—and his career trajectory. 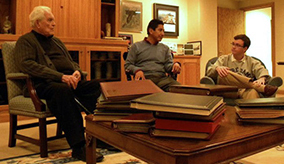 In Chile during fall break 2012, he worked with his theology professor interviewing other professors and priests to learn more about the dynamic between the Church and State. He then headed to Brazil for winter break 2012, where he researched public and private health systems. These experiences, Sheehan says, motivated him to take his language studies more seriously. 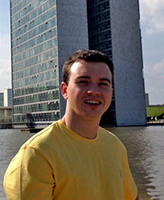 Most recently, Sheehan spent his fall 2013 break studying at the University of Navarra in Spain, with a grant from the Center for Undergraduate Scholarly Engagement. It was an ideal place, Sheehan says, to explore the problems of bioethics and depersonalization in the healthcare system. That university has a strong program of interdisciplinary work between philosophers and physicians, he says, and also has one of the best medical schools and hospital systems in all of Spain. But this opportunity also demanded advanced language skills. “Everything was done in Spanish,” Sheehan says. “All the seminars I attended, all the interactions in the hospital; I was working with doctors and philosophers and professors. And now I’m translating various papers they’ve written in Spanish to try to bring them to the bioethics community in the United States and present them here or help to have them published. “So the language has allowed me to take my interests in health disparities and in trying to fight this depersonalization in health care, and be able to bring these ideas into the United States. I think this sort of interdisciplinary approach is really useful and something that’s needed in the United States. Sheehan’s life at Notre Dame as a student of faith, medicine, and Latin American culture has been intense, but he says he has had countless mentors to help him through his journey. Teixeira, in particular, has been an important influence, he says. Described as one of the most helpful, passionate, and caring teachers, she is one of the reasons Sheehan says he has been inspired to stick with the language for so long. In addition to his studies, Sheehan has also enjoyed spending time teaching catechism to grade-school students on the weekends and teaching English as a new language through Catholic Charities. 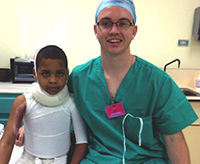 After his time in the Dominican Republic, Sheehan knows he wants to continue working in Latin America. He is especially interested in Brazil and in helping to develop holistic, community-based components of medicine there. Sheehan says he sees his language skills not only as a tool to facilitate his research interests but also as a tool to learn from other cultures. “I would never have had the opportunity to do a lot of the research I did on health disparities,” he says, “but I also wouldn’t have the same personal outlook on how I view my work and my relationships, to see that each conversation and each interaction I have with people is an opportunity to do well and give of yourself in those very small ways. Originally published by By Chelsea Merriman and Carrie Gates at al.nd.edu on December 17, 2013.